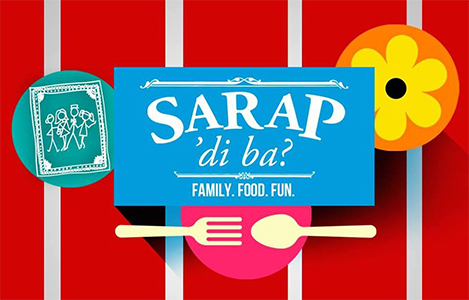 SHOW DESCRIPTION: Sarap, Di Ba? is hosted by no less than celebrity mom/actress/TV host Carmina Villarroel together with her talented twins Mavy and Cassy Legaspi. Carmina, who is recognized as one of the country’s well-loved endorsers and most admired female personalities, returns to hosting but this time, she will be joined by her children in this family-oriented program.